Macaroni and cheese is one of the few dishes that is as good in the heat of summer as it is in the dead of winter. It’s classic comfort food. Fourth of July is right around the corner, and we wanted to share this Three Cheese Macaroni and Cheese recipe in time for all of your summer cookouts. We’ve been testing different macaroni and cheese recipes and finally have something that we are happy to share. To refine our macaroni and cheese, we consulted with the cheese department at Rainbow Grocery. Their cheesemonger is renowned and recently published a book specifically on cheddar. According to our friends at Rainbow, you need at least three cheeses to make macaroni and cheese. Cheddar makes a great base, and the Red Barn Heritage Weis Cheddar we used was simply amazing. It’s not hard, and it’s not overly-strong. This is the best cheddar we’ve ever had, no question. The next cheese to add to your macaroni and cheese is an Alpine cheese like Gruyere or Emmentaler for flavor. We used Swiss Hornbacher, the strongest of the Alpine cheeses at Rainbow and were not disappointed. It added a rich, complex flavor that kept us coming back for more. 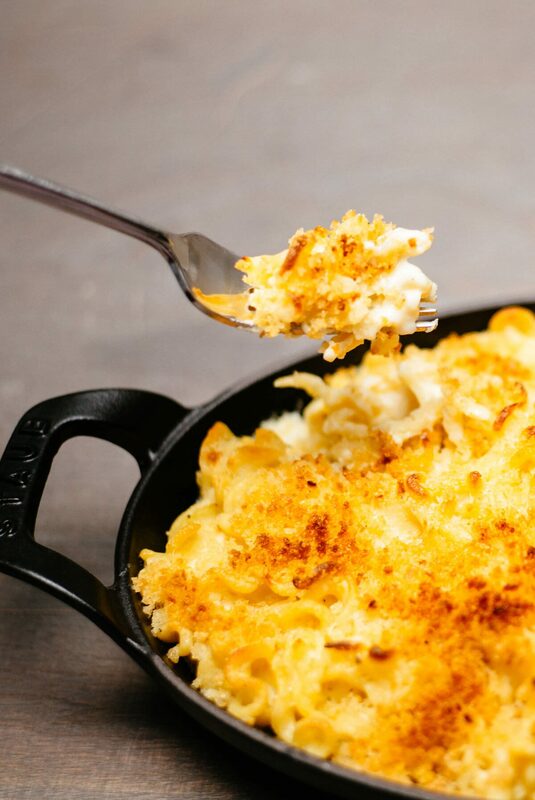 Finally, we learned that the secret to the best macaroni and cheese is a neutral brie. It adds a silky texture that you can’t get otherwise. 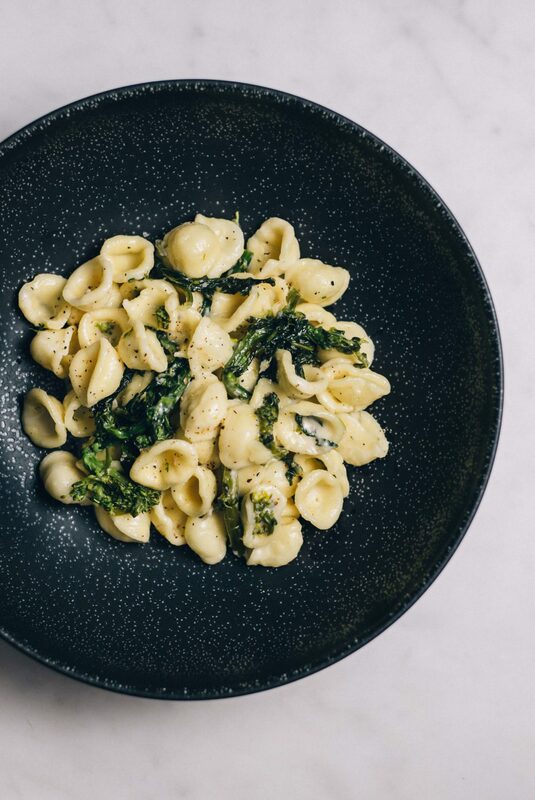 For our macaroni and cheese, we wanted a special pasta–something different than your average elbow macaroni. We went with capricci, which resembles a coral reef. 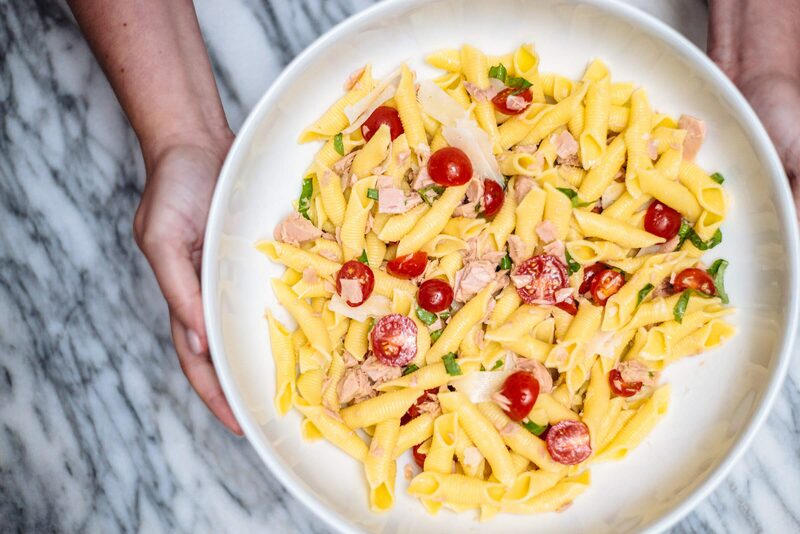 Mediterranean red coral is one of Clayton’s favorite things, so this pasta shape was a no-brainer for us. 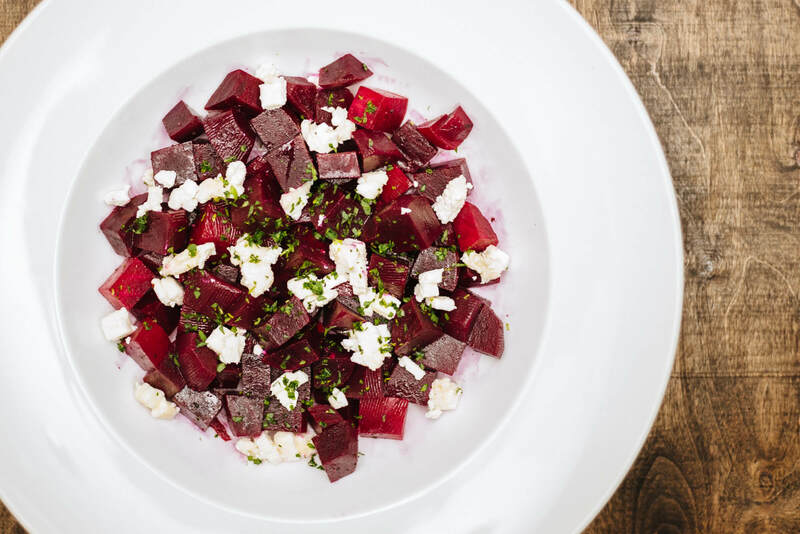 This recipe is so simple you can memorize it and make it anywhere. We’ve found the ideal ratio is one pound of pasta to one pound of cheese. We make a bechamel base, and grate the cheese into the hot bechamel sauce. Just follow our recipe here, but double everything (1/4 cup butter, 1/4 cup flour, and one quart of whole milk). We make our bechamel in our All-Clad TK Saucier, and we’ve found that it’s the perfect size and shape for this recipe. We grate the cheese on our Microplane box grater (except the brie, just scrape the skin off with a utility knife). 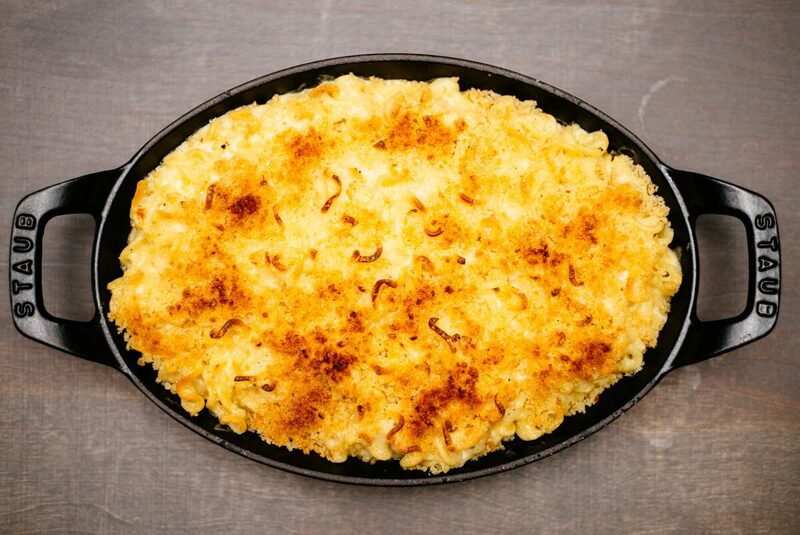 To finish the macaroni and cheese, we baked it in our Staub oval roasting pan (c/o) that we love. It’s perfect for baking sides like mac and cheese or roasted vegetables. We topped our mac and cheese with buttered panko crumbs right before baking. Tip: to make buttered panko crumbs, melt two tablespoons of butter in a small pan like this, then toss in 3/4 cup of panko and toss to coat. In a large mixing bowl combine the béchamel, cheeses, and cooked pasta. Toss to coat and season with salt and pepper to taste.. Put the mac and cheese in a baking dish (you may need to divide the mixture between two smaller baking dishes) and sprinkle with buttered panko crumbs. Bake for 5 minutes at 350 degrees, or until warmed through and the panko crumbs are golden.